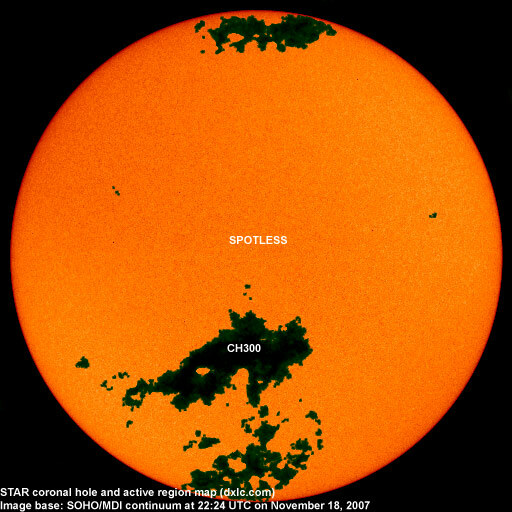 Last major update issued on November 19, 2007 at 06:00 UTC. The geomagnetic field was quiet on November 18. 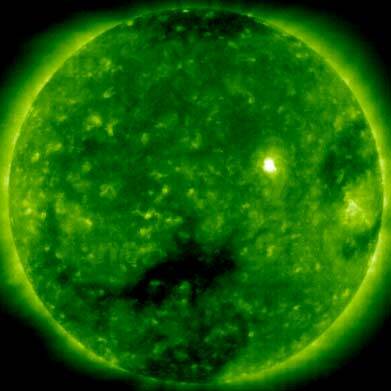 Solar wind speed ranged between 333 and 430 km/s (average speed was 368 km/s, decreasing 70 km/s from the previous day). Solar flux measured at 20h UTC on 2.8 GHz was 68.8. The planetary A index was 2 (STAR Ap - based on the mean of three hour interval ap indices: 2.1). Three hour interval K indices: 12000001 (planetary), 12001100 (Boulder). 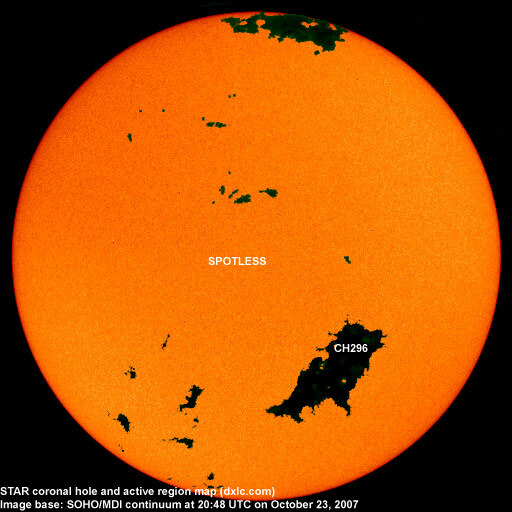 November 16-18: No obvious fully or partly Earth directed CMEs were observed in LASCO imagery. 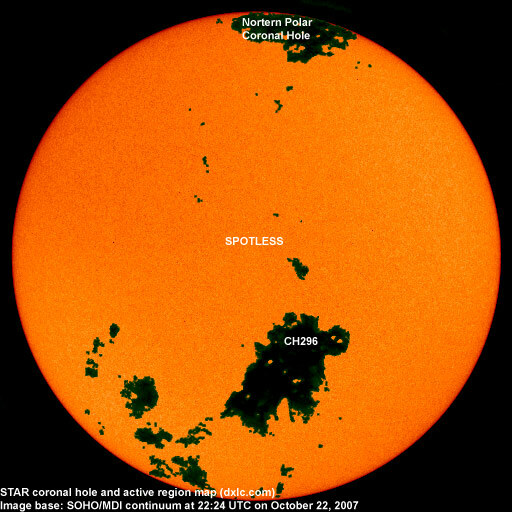 A recurrent coronal hole (CH300) in the southern hemisphere was in an Earth facing position on November 17-18. Processed SOHO/EIT 195 image at 02:36 UTC on November 18. The darkest areas on the solar disk are likely coronal holes. 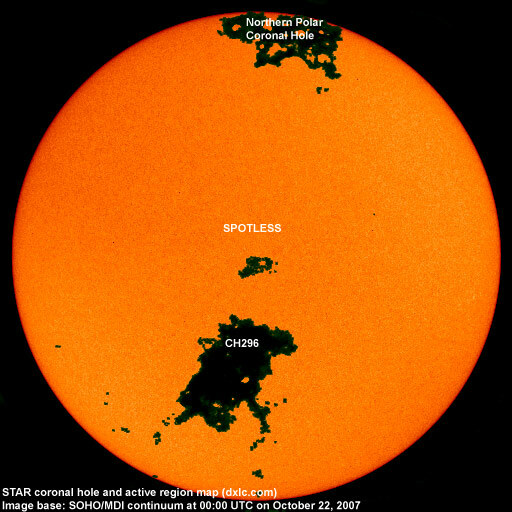 The geomagnetic field is expected to be quiet on November 19. November 20-21 could see quiet to minor storm conditions due to a high speed stream from CH300.